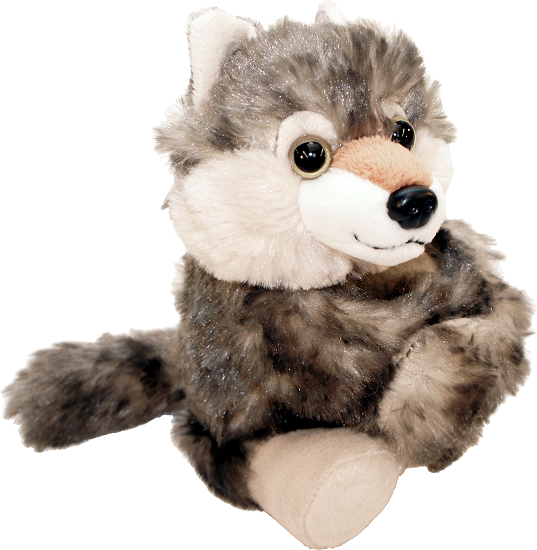 This adorable Huggers wolf stuffed animal has soft plush-covered snap bracelet arms so it can hug your child's wrist, backpack, handle bars, etc. 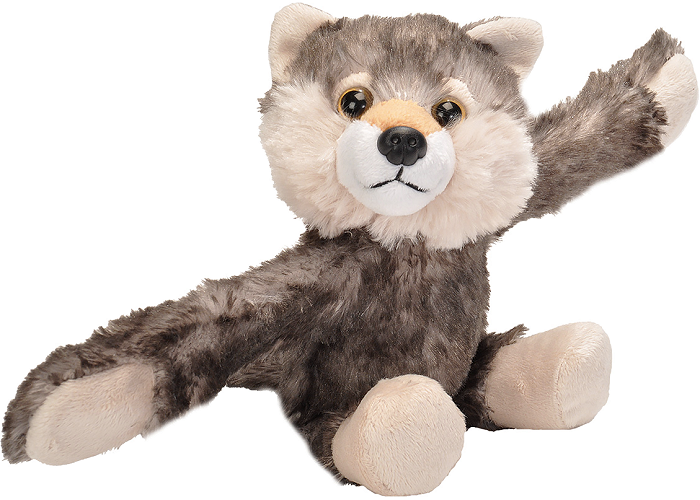 for hours of on-the-go fun and adventure. 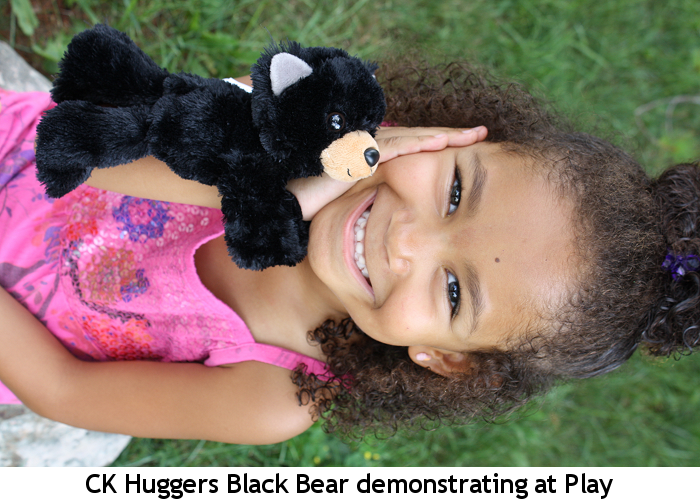 With a body of soft dark gray mottled fur and beige accents, floppy tail, alert ears, and watchful yellow eyes in a sweet smiling face, this CK Huggers plush wolf will hold on snuggly which not only reduces the risk of being put down and forgotten, but also allows them to accompany your kids on their adventures while leaving their hands free for other things! 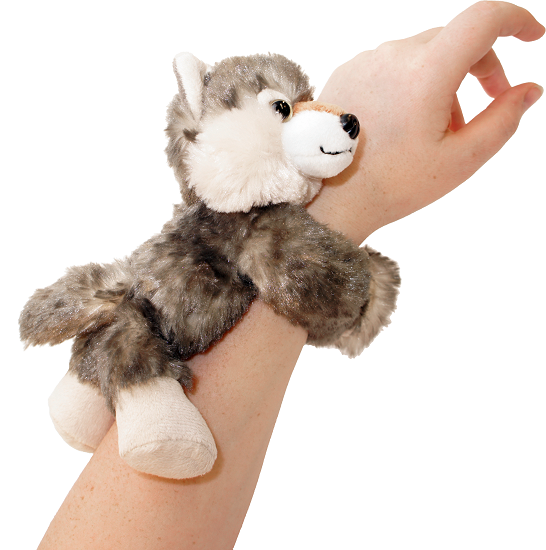 Simply spread the snap bracelet arms wide open, give the chest of this stuffed wolf a squeeze, and SNAP - the arms instantly wrap you in a soft, plush hug!